To be truly effective corporate prayer, intercessions should reach the heart, mind and imagination of every member of the worshipping community. Susan Sayers uses her unique talent for communicating depth and substance in language which is both simple and beautiful to write these prayers of intercession. Flowing from ideas developed eachk eek from the readings of the Common Worship Lectionary, the prayers are an integral part of the service, in harmony with the thoughts of the whole congregation. Extracted from the Complete Resource Book of the Living Stones programme for Year C of the CWL, these prayers are presented in an easy-to-use format. 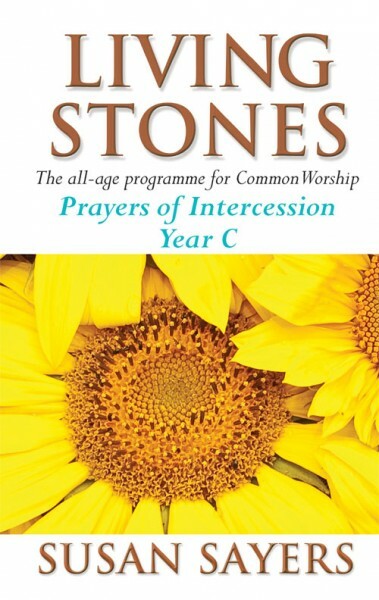 Living Stones (Prayers of Intercessions): Year C by Susan Sayers was published by Kevin Mayhew in August 1997 and is our 1894th best seller. The ISBN for Living Stones (Prayers of Intercessions): Year C is 9781840030136. Be the first to review Living Stones (Prayers of Intercessions): Year C! Got a question? No problem! Just click here to ask us about Living Stones (Prayers of Intercessions): Year C.